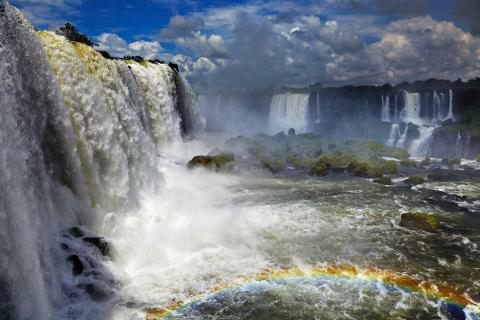 This package is ideal if you have 2 or more nights in Puerto Iguazu, and wish to do most things on offer in Iguazu! 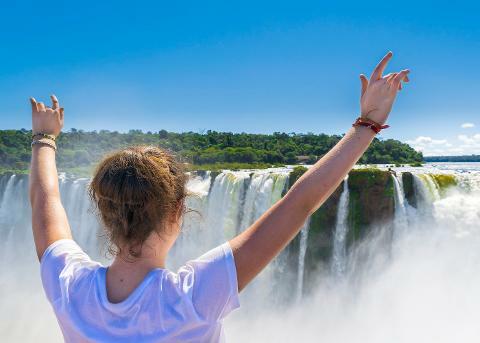 You will receive round trip airport transfers, plus transport to see the Argentine Side of the falls & the Brazilian Side of the falls. 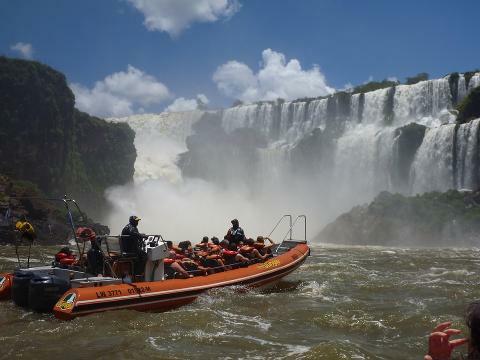 You will also feel the thrill of a speed boat under the falls, and the excitement of a helicopter ride to see them from above. 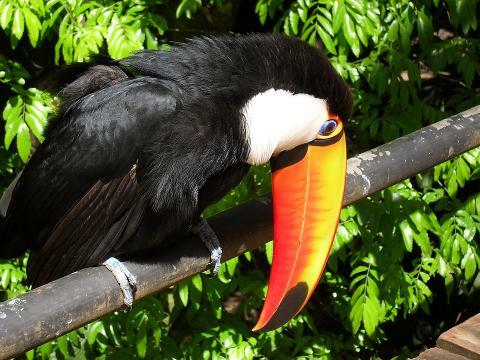 You will also get up close to the many endemic birds of the area while strolling through the Brazilian bird refuge. 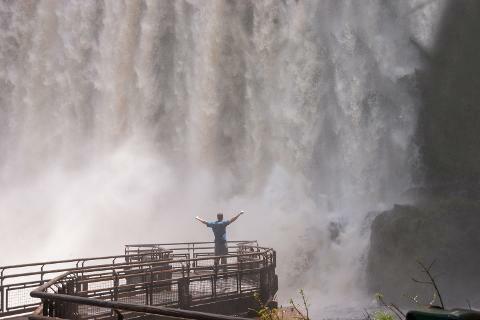 During the reservation you are asked to indicate which day you wish to do the Argentine side of the falls. 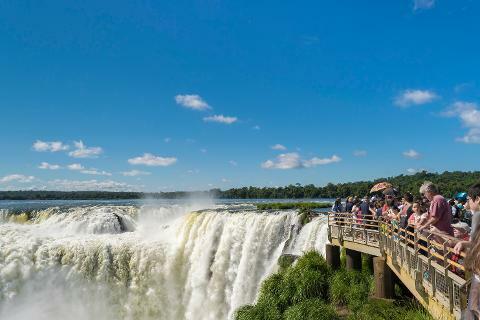 You will be collected from your accommodation in Puerto Iguazu and transported to the entrance of the Argentine Side of the Falls. When you reach the entrance, your driver will enter with you to explain the best way for you to explore the park on your own and you will make a time to meet them later for the trip back to your hotel. If you are doing the boat trip under the falls, the driver will explain the location of the starting point . The rest of the time you are free to explore on your own. The gates to the national park open daily at 08:00am, and you need to exit the park by 18:00pm when it closes. We recommend that you choose a departure before 12:00 midday to have enough time to see the falls before the park closes. 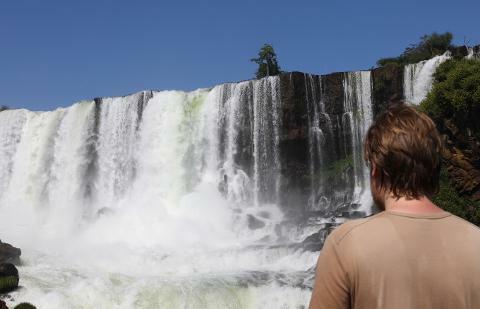 If you walk quickly, you can see the falls in around 5 hours in the low season or 7 hours in the high season. To visit the falls at a comfortable pace you need about 6 hours in the low season or 8 hours in the high season. The Great Adventure Boat Trip is located inside the park, and takes 1.5 hours. This activity will give you a taste of not only the waterfalls from below, but also the jungle inside the national park. 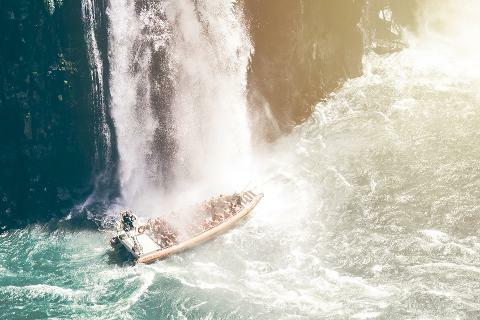 As well as experiencing the thrill of speed boating on rapids created by the falls, you will also enjoy an open air drive through the jungle with explanations in English. Not getting wet isn't an option as the boat takes you under the falls, but to keep your belongings dry, you are provided with a waterproof bag that easily fits a carry on bag and other items. WARNING - be aware that there are 150 meters of steep stairs to navigate during this activity. There is a lot of bouncing around, and pregnant women, people with back & neck problems, or any other ailments which could be affected by sudden jerking, should not do this activity. Children under 12 years old are not permitted to participate. Departs each hour and a half starting at 8:45 AM until 3:45 PM, from the Operation Center and from 9 AM until 4:30 PM from the lower circuit. 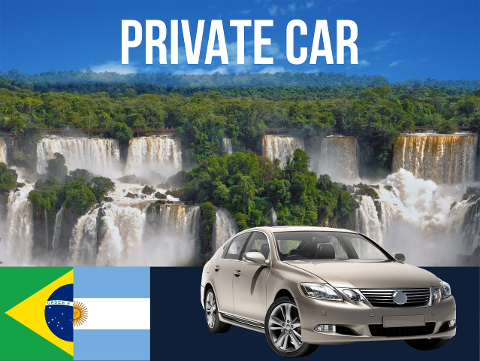 Your visit to the Brazilian Side of the falls is made in a private vehicle, which allows us to schedule your pickup time to suit your plans. 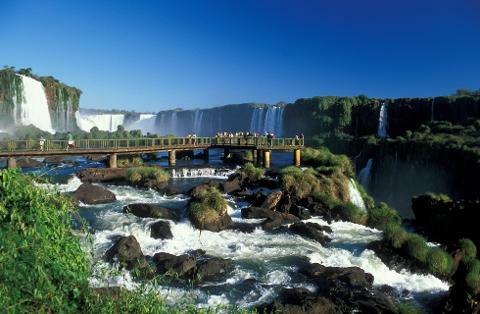 You will be collected from your hotel in Puerto Iguazu and driven across the border to Brazil. You will be dropped off at the entrance to the national park where you set the time and place for your return transfer directly with your driver. Once you enter the park, there are free buses that take you to the start of the trail to the falls. These same buses will later return you to the entrance. The Brazilian Bird Park located near the entrance, calculate about 1.5 hours more. The Helicopter located near the entrance, calculate about 1 hour more. The flight only takes 10 minutes, but there is often waiting time. Imagine seeing one of the world's most spectacular natural wonder from above. 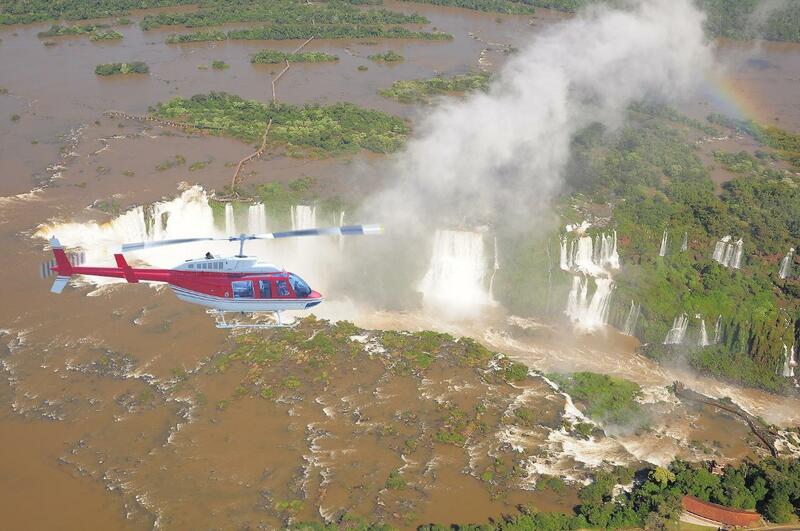 You begin the helicopter ride from close to the entrance of the national park, and quickly get a bird's eye view of the falls in all its glory. Your driver will show you where the helicopter takes off, and give you a voucher for the activity, plus allow you extra time to complete the activity. Once you arrive to the helicopter office, you wait in line for your turn and it is first come, first ride. The flight itself is up to 10 minutes in duration. Your flight will be at a convenient time during your stay. Operating hours are between 09:00am & 17:30pm. In the Bird Park you will experience direct contact with more than 1320 birds from about 143 different species. There are 16.5 hectares of lush Atlantic Rainforest maintained to provide the best habitat for the animals. The park is open everyday from between 08:30am & 17:00 pm. Your diver will give you a voucher to enter the Bird Park, and allow extra time for your visit. It usually takes 1.5 hours to enjoy the whole park. 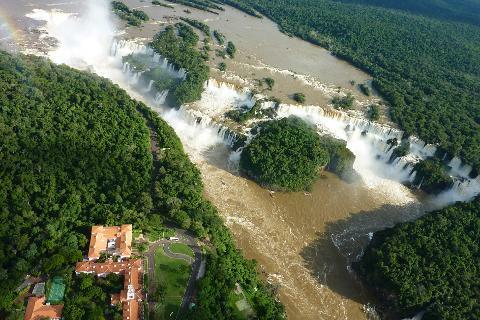 Accommodation Drop Off & Pickup Areas: Locations within the city limits of Puerto Iguazu. If staying at the Belmond Das Cataratas Hotel or outside the city, there is an extra charge you must add on the next page. Argentine National Park Entrance Fee: The entrance to the Argentine falls is not included. Your entrance needs to paid directly by you when you arrive to the National park. Credit cards are not accepted, only cash in Argentine Pesos. If you require, your driver will take you to a location to change currency on the way. 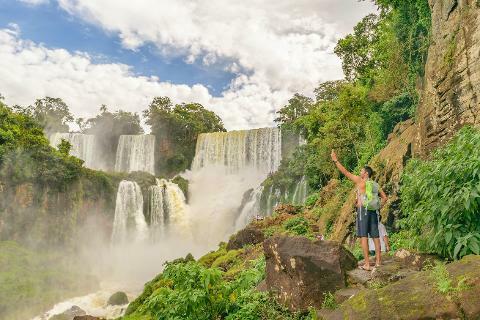 Puerto Iguazu Eco Tourism Tax: The city of Puerto Iguazu charges all visitors a one time fee of 25 Argentine Pesos, and this fee is not included in the price of your transfer. On the way into Puerto Iguazu, all cars are required to stop at a booth where the city officials will collect this fee from you directly. Please make sure you keep your receipt, in order to avoid being charged twice. Important - this transfer crosses an international border. It is your responsibility to have the correct documents to complete the immigration processes. Canadian passport holders need to pay have their Argentine reciprocity with them when they go to Brazil in order to return to Argentina. You can register and pay this fee here: pay reciprocity fee. Vehicles used are no older than 5 years, and are insured against damages to the passenger regardless of whether in Brazil, Argentina or Paraguay. Drivers hold credentials from the Sest Senat training school in Foz do Iguaçu.